Upstream nymph fishing has developed from the minor tactic of G. E. M. Skues into a universally-accepted method wherever fly fishermen fish for trout and grayling. 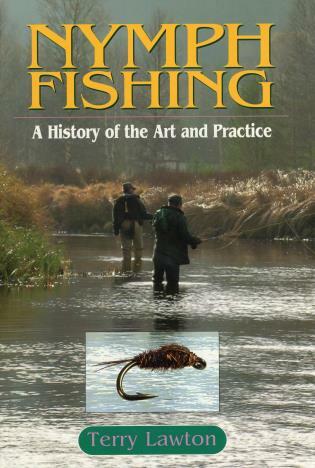 The history of nymph fishing is notable for the argument between F. M. Halford, the dry-fly ultrapurist, and Skues, culminating in the debate on the legitimacy of fishing nymphs on chalkstreams and the later fallout between Frank Sawyer and Major Oliver Kite. Nymph fishing was developed in England and then spread, along with nymph patterns, around the world through the writings of Skues and others and the travels of English anglers. Over the last fifty years, the English method has been adapted and developed to suit local conditions throughout the world and particularly in the United States. Terry Lawton is a passionate fly fisherman who fishes primarily for trout but also for pike and grayling. He is a regular contributor to the on-line fly fishing magazine Fish and Fly and has had articles published in leading U.K. magazines, including Fly Fishing & Fly Tying and Trout and Salmon and one, on Czech nymphing, in the Czech magazine Kajman and on a Czech website. He lives in Norfolk, England, where he is the secretary of The Bintry Mill Trout Fishery on the river Wensum.